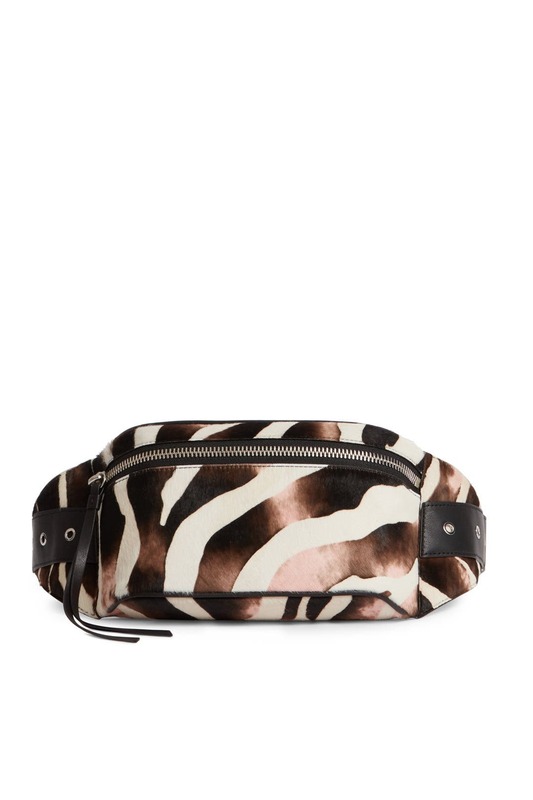 Trend-right in zebra stripes, this AllSaints fanny pack is perfect for running around town. Zebra haircalf bumbag with front zipper closure. Interior pockets and zipper pouch. Adjustable belt, 8"- 17" long. 4.7"H x 8.26"W x 2"D.